I’m challenged by this – and encouraged. What a privilege it is to be able to serve the LORD from our hearts through our words, deeds and the things we’ve been given stewardship of! We’ve created a trust for our B-BBEE partnerships, of which Rays of Hope is the sole beneficiary. a holistic offering for companies combining a one-stop shop for B-BBEE partnership and CSI initiatives that have real impact, working together with our existing programmes in Alex. Our next B-BBEE Information session will be on Tuesday 29th May 4:30-6:30pm at RUC. Please RSVP to tracey@raysofhope.co.za if you’re interested in attending. If this is not something that pertains to you, please join us in spreading the word about it – you never know how YOUR sharing this information could impact lives! Another initiative we’re running is FEED-A-FAMILY. We support our families in the community with non-perishable food items – this is a way that anyone from RUC can help us! This food is sorted and provides basic supplies for the 26 vulnerable families (140 people) in our Ithemba Labantwana programme, monthly. We aim to provide about 25% of a family’s basic needs, to relieve financial pressures and in line with our philosophy of giving people a hand up, rather than a hand out. The children in the programme are also fed twice a week during homework club. Please collect one of the Rays of Hope buckets at the Info Desk in the RUC Street. A list of the items of each family’s needs will be included on each bucket. The type of items are mealie meal, tinned pilchards, soya mince, sugar, long life milk, baked beans, rice, soup, tea and peanut butter. We also include every second month, cleaning products and on alternate months, cooking oil. Please take the bucket and fill it with all or some of the items on the list and return the bucket to the Rays of Hope offices (behind the RUC main building), during the week or at the Info Desk on Sunday. If you’d like to “adopt” a family for a 6-12 month period, in providing them with a full food bucket, please mail trish@raysofhope.co.za. This would be a great help in assisting us with our budgeting for our families. Join us on Saturday 19th May for an exclusive Rays of Hope Tour of Alex! These only take place 3 times a year and offer you an opportunity to see first hand the work that we’re doing and to meet some of the amazing people we’re working with. Thanks SO much in being part of creating lasting change for good in Alex, in these ways! Rays of Hope was started by members of Rosebank Union Church’s youth in 1991, wanting to play a role in making a positive impact in our country, starting with our nearest township, Alexandra. Our first programme, Rose-ACT Saturday school has been run consistently since then. Rays of Hope and RUC have continued to partner and although Rays of Hope is an independent body, we are the church’s ministry to the poor. Over the years Rays of Hope has blossomed into a network of nine community-based programmes focusing on caring for orphaned and vulnerable children, improving education and assisting with skills development and work readiness. We’re currently impacting over 2,600 people weekly, working together with many Alex-based partnering organizations, to make a deep, lasting impact on our neighbouring community. What a privilege it is to share in this mandate to love and serve our brothers as our King has told us to! And what a privilege it is to share in this mandate with YOU – the local body of Christ at Rosebank Union. Thank you for putting your resources, whether your time, talents, connections, finances and prayers, into action in helping us serve our brothers and sisters less fortunate than us. May you and yours be blessed exceedingly and abundantly, as our Lord promises! When we sow generously, He promises that we will reap generously! Our God is not a man that He should lie, particularly in this area. This month, we’re looking at missional living and I’d like to highlight a few people that you may or may not know of that serve in different ways, whatever they’re able to with the capacity they have, but together we serve a greater purpose – to spread the love of our Christ in a very tangible way, by (adapted from Matt. 25:35-36) “giving me food when I was hungry, giving me something to drink when I was thirsty, welcoming me when I was a stranger to you, clothing me when I was naked, visiting me when I was sick, coming to me when I was in prison”. Our oldest volunteer, Dorothy, who collects food from Fournos Benmore weekly, and brings it to our Sandton office, which we then distribute to the Alex Old Age home, iThemba Labantwana (looking after orphaned and vulnerable children) and to the 23 creche’s, in Alex, which we support through our Early Childhood Development programme. Our longest serving couple Richard & Denise O’Callaghan (both in their 70’s), who’ve served at Rose-ACT for over 10 years and who have been on the committee for longer, are absolute gems in serving the kids who come hungry to learn! Our longest continually-involved-in-giving-back ex-Rose-ACT student, Banele Mtebele, who has been part of Rays of Hope, since starting at Rose-ACT Saturday school as a student in 2002, then became a part of our IGNITION Tertiary education support programme (whilst tutoring at Rose-ACT). Banele, now 30 years old, is an accomplished TV editor at Rhythm City, while still tutoring at Rose-ACT and has started his own Grade 9 life skills club (“Club 9-9”), to continue the work that was begun through Rays of Hope. The amazing women, who serve in Home Based Care, who weekly go into situations, which would be difficult to face in a normal home situation, but are often next level challenging in a shack or single room – to serve those that are unable to look after themselves. Ladies, your tireless commitment is hugely admirable – thank you! And last but not at all least, I’d like to acknowledge our longest standing staff member, Louise Cameron, a Dutch Ozzie, who has chosen to serve for the past 15 years running Rose-Act. Louise steadfastness in serving for so many years is a great example to me of commitment – thank you Louise for everything you’ve given, and continue to give, in serving in Rose-Act. “Then the King will say to those on his right (the sheep he has separated), “Come, you who are blessed by my Father, inherit the kingdom prepared for you from the foundation of the world”. So thank you to ALL who are already a part of this work in Alex – please keep sowing with and sharing about Rays of Hope! To those who aren’t yet a part of our work at Rays of Hope – we’d love to have you join us in this integral work in the kingdom and being a part of creating lasting change in Alex for good! Rays of Hope’s partnership with Sparrow School in Melville that began in 2016 has continued to flourish this year. Thanks to generous donors linked to Rosebank Union Church, we were able to send 10 children from Alexandra (Ithemba Labantwana program) to Sparrow in 2017, and this year six new learners have joined the school. 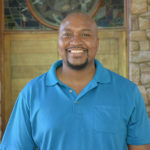 Sparrow provides remedial and special needs education, with a strong Christian ethos. Not only do the children get a fantastic education, they learn that Jesus loves them no matter what their background or abilities. The teachers know that if there is a concern about our children they can contact our field workers at Ithemba Labantwana and we can work together with the families to address it. The first day was filled with excitement and some nerves (that were quickly settled when the children met their teachers and classmates). On the second day we received a call from the grandmother of one of the children, who was so grateful as her grandson had come back full of enthusiasm, describing every moment of his first day! We know that these six new children will be greatly impacted by the support they receive at Sparrow, and give glory to God as we think about the progress the children made there in 2017. Their attitude towards school and learning has completely shifted. From being fearful of school and avoiding it where possible, they now love their education and are excited about learning. The confidence that this new environment has brought our children is incredible. One little girl in Grade 1 was so shy that she would never speak to or look an adult in the eye, but she has now blossomed into a playful, enthusiastic, joyful little girl who loves to joke and have fun. Not only this but she and others have gone from not understanding a word of English to communicating with ease. Several of our children have won awards for effort, achievement or for being helpful, kind and considerate classmates. Many orphaned and vulnerable children from Alexandra struggle at school. The trauma they have suffered affects their learning and daily experience while classes often have 70 students with one teacher, so individualised attention for those who are falling behind is impossible. While our homework club helps to fill some of the gaps, sometimes more intensive intervention is needed. We thank God for this provision and for our partnership with Sparrow and look forward to seeing what God has in store for these new little ones. As we prepare to celebrate the miracle of Christ’s birth at Christmas, we reflect on the lengths that God went to in order to be reconciled to an estranged humanity. As those who have been reconciled to God through Christ, we have in turn been given a ministry of reconciliation, to be bridge-builders not only between God and man, but also between estranged peoples. The ministry of Rays of Hope is like the Grayston Drive bridge connecting Sandton and Alex, a bridge between ‘the pot of gold’, Sandton, and ‘the pot of tin’, Alex. These two communities are the perfect symbols of the disparities and divisions in our country: divisions between suburbs and townships, rich and poor, black and white. Divisions which experts tell us are simply unsustainable; a ticking time bomb. Rays of Hope, as that bridge, has been partnering with the community of Alex to create lasting change for 26 years. We run nine programmes in three focus areas: orphaned and vulnerable children, education and work readiness. Our work directly impacts 2 660 members of the Alex community. We would love you, the community of Rosebank Union Church, to join us in this ministry of reconciliation and building bridges, throughout the year. As Christmas approaches, we are excited to be participating in the Santa Shoe Box project. This is an initiative where members of the public place gifts of toiletries, stationery, clothing, sweets and a toy in shoe boxes, which are dropped off at Rays of Hope and distributed to all the children in our children’s programmes, as well as our partners in Alex: Alex Kidz Clinic, Takalani Day Care, Dinoko Day Care, Mercy House and Ikusasa Lisakhanya Reading Club. This Christmas, let’s build bridges and be reconciled to one another, reaching out in love! Thank You, Rays of Hope Volunteers! In this month of Thanksgiving we celebrate the many volunteers who have supported the various Rays of Hope programmes over the years, and say THANK YOU for your faithfulness. For 27 years, Rose-Act Saturday School has called on members of RUC to tutor on Saturdays during school term. In about 2002, a group from RUC responded to a call to go and assist the terminally ill in their homes in Alexandra and so was born the Rays of Hope Home-Based Care programme. Today, we say thank you to Lynne Bowker, our original volunteer, and current volunteers Corrine Andrews and Zandra Murray, who continue this calling to provide support, encouragement and prayer for those who are sick. Another programme that was initially run by volunteers is Ignition, a programme offering students financial and mentorship support for tertiary education. We thank God for Sarah and Craig van Zyl and Craig and Helen Pournara for their faithfulness and we thank each volunteer mentor of the programme for your journey with each of these young students. Knox, a work readiness programme for the unemployed, was also initiated by volunteers and to Gary Seath, Mzi Kaka, Garth Barnes, Jimmy Copeland and Makhotso Fako who spend Saturday afternoons working with the unemployed and providing a range of work readiness skills, thank you. The Ithemba Labantwana (hope for orphaned and vulnerable children) programme is another that has been blessed with so many volunteers. We are so blessed to have Richard O’Callaghan, Heather Blackstock, Graham Pfuhl, Claire Morrison, Jennie Morley and Jenny Laithwaite helping the children with literacy and numeracy at the Homework Club. A group of medical personnel have over the year helped our children with referrals and check-ups. We also give thanks to the RUC Counselling Centre for their ongoing support in the lives of our children, as well as to many others from Alex who have been traumatised. Our newest programme is our Early Childhood Development programme and once again, this continues through the dedication of volunteers Christy Bennet (programme co-ordinator), Gillian Leathers (curriculum developer and trainer) and a host of support volunteers in the fields of nutrition, occupational therapy, speech therapy, play therapy and baby stimulation. The care givers in the ECD centres are immensely grateful for your input. Another area of support has come from our “Friday ladies” who faithfully sort out donations for our various programmes and when the need arises, will swap sorting for sandwich making to ensure that Rose-Act students each get a sandwich on Saturday. We continue to give thanks for the amazing way the Lord has ensured that Rays of Hope has been financially sustained in 2017, with many people giving to Rays of Hope over and above their tithe to RUC. We have seen wonderful partnerships develop between RUC owned/managed businesses and ROH! Thank you so much for your financial support, without which our work in Alex would not be possible. https://ruc.org.za/wp-content/uploads/2017/11/light-sign-typography-lighting.jpg 853 1280 Sihle Mooi http://ruc.org.za/wp-content/uploads/2017/05/RUC-Logo-300x136.png Sihle Mooi2017-11-08 13:44:222017-11-08 13:44:58Thank You, Rays of Hope Volunteers! Every year Mandela Day means lots of attention is given to our projects from corporates for one day only, which can do more harm than good. This year it was decided that we would encourage companies to engage with the projects over a longer period, or contribute to a more sustainable difference… and it worked! 26 companies engaged with us this year, most of whom were new engagements . We engaged with companies like Eskom, Sanlam, Hatch and Old Mutual, Hollard Insurance, Michaelangelo Hotel, Deloitte and Altech Netstar. Activities varied from a week-long engagement with a child care centre, to renovations and big blanket and clothing drives. We were about to connect companies with other community organisations, which we partner with in Alex. Medtronic Africa visited a day care centre for 5 days, taking soup and rolls and reading to the children. YFM did an extensive blanket driver and live broadcast from Altrek during the Rose-Act holiday club. The blankets were shared amongst our projects, as well as being given to the Old Age Home, Hospice, Phuthadichaba, Christ Church Christian Care Centre, Ratang-bana and Bathusheng. American Tower Corporation spent a day cleaning, painting and doing maintenance at House 1. They purchased a new hob top so that homework club cooking can happen in House 1. Torre Group invested in Takalani Day Care, doing a complete make-over with painting and repairs. Public Investment Corporation invested in Ndivoyo with repairs, painting and resources, as well as treating the children to a party with a jumping castle, face-painter, Mandela Cake, party packs and balloons. Gogo’s of Hope were treated to a movie by Mall of Africa and were given sandwiches, fruit and toiletry hampers prepared by Red Pepper Studios. Goldfields spent the morning cleaning our offices in Marlboro at House 2. Capital Group went to the foster family and cooked a dinner, whilst Thirst and Meridian Wine did collections and spent time playing with the kids at House 5. Bureau Veritas Sandton team collected clothing for the children. There were several other shorter initiatives too. We are so grateful for the great interest and love shown to the community during this time . However we are keen to engage with more companies next year, particularly those with an eye to more sustainable longer-term solutions. In most cases, the once-off sugar high from a day of cup-cakes and fizzy drinks is not what Mandela would have hoped for. The 30th July was our annual “Rays of Hope” Sunday where we have a specific focus on the work of our non-profit organisation working to bring lasting change to the people of Alexandra Township. Thanks to all the staff and volunteers of Rays of Hope for all the effort they put in to give us a glimpse into the Alex Stories. The video above is a brief overview of a few of the projects of Rays of Hope. Thanks to AG2G Entertainment for putting the video together. 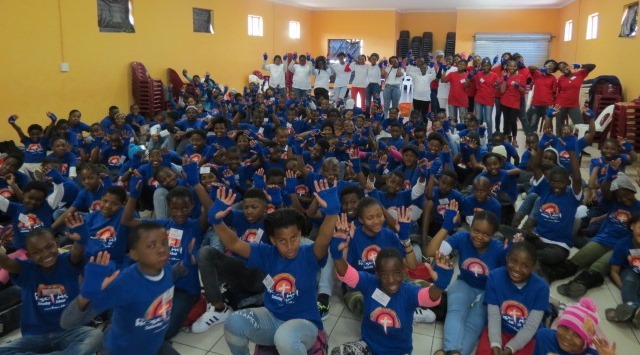 We held our second successful Holiday Club in the July holidays, with over 140 students attending over five days at Altrek, the sports and recreation centre in Alexandra. As background to these Holiday programmes… a few years ago we decided to concentrate the Saturday academic teaching to just two subjects, English and Mathematics. We identified these as the core subjects that children in Alex need to concentrate on to improve their academic skills and their ability to progress beyond school. But this left a gap in terms of non-academic subjects such as Lifeskills. For this reason, we added extra-curricular activities on Saturdays after classes as well as two Holiday Clubs and the annual camp each year. These are our best opportunities for Christian teaching and instilling Christian values and they have proved to be so influential in shaping our student’ mind-sets and actions. The theme for THIS Holiday Club was “Who am I? Who are we? Who is Jesus?” We chose this to fit into the national “What’s Your Story” campaign initiated and driven by the Heartlines Media Company and adopted by the Rosebank Union church. Children examined their own stories in the light of the stories of other children…What are the differences between us? How do I feel about these differences? How can I be more accepting of other people who are different from me? What expectations do others have of me and I have of myself? Then they looked at Jesus’ ‘story’…Who was He? What did He say about Himself? What did others say about Him? What do YOU say about Him? What does HE say about YOU? The Holiday programme was packed full of art and craft activities as well as games and sports. Each team competed against itself to improve its sporting performance over the week, which further built on knowing each other’s strengths and weaknesses and working together as a team. The Holiday club leaders – key players in the success of the event – are usually compiled of ex-Rose-Act students and volunteers at other Rays of Hope projects. We made a significant change at this Holiday Club by inviting some Grade 9 learners to be group leaders. Putting a Grade 9 child into a leadership position was an important move in developing these young students’ leadership skills and developing their own maturity. To assist these young leaders, we used four supervisors who were experienced in leading groups. Each supervisor managed four groups. All in all, it went well and the young leaders rose to the occasion. Everyone learnt a lot from this experience. 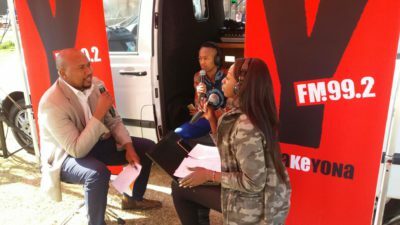 An out of the normal highlight came on the Thursday, when YFM 99.2 FM radio station set up a three-hour live outside broadcast from the Holiday Club. This was part of its Mandela Day partnership with Rays of Hope. 2 000 blankets donated by listeners and corporate supporters of YFM and were given to Rays of Hope projects, including Rose-Act. They played music and in-between interviewed some of our leaders as well as other senior staff members of Rays of Hope, including our director Sihle Mooi. Then all the students gathered around and sang their newly-learned Holiday Club song, ‘You’re a V-I-P to G-O-D.’ It was amazing and the YFM DJ’s were bowled over. The mission of Rosebank Union Church (RUC) is clear. We exist to call, equip and send disciples for the glory of God. Making disciples was Jesus’ mission; it was the mission of His disciples and it should be our mission as a church. This is important because it means that everything we do as a church should be designed towards that end. From time to time, it’s important to locate every ministry of the church within this mission to make sure that we are still on track and not guilty of mission drift. This is easier for some ministries than others. For example, worship ministry, where it is more evident how this ministry is calling, equipping or even sending disciples. For a ministry like Rays of Hope (RoH), it’s a little harder to place. That is, firstly, because of its location: most of our work happens in Alexandra township, and we have our own offices. Secondly, structure: it has its own brand, its own board and a governance structure – which resembles a business more than a church ministry. Thirdly, because of its core work: we use terms like projects and beneficiaries, we are geared towards meeting practical needs and bringing about social change – which is quite different from being a “word” ministry. In fact, we sound more like a government welfare department! Leaders at RUC and RoH have been attempting to define more clearly what RoH is: a ministry of RUC or a separate NPO? We have concluded that it is both. It is a full ministry of the church, like missions and counselling, but for the purposes of fundraising and outreach, it is housed in an NPO. If RoH is a full ministry of the church, to what extent does it participate in the church’s vision of calling, equipping and sending disciples for the glory of God? RoH falls more obviously under the sending aspect. The RoH mission is ‘to partner with Alex to create lasting change’. How does this fit into the broader RUC vision? Once Zoë (a disciple) has been called (heard and received the Gospel) and after she has been equipped through church sermons and participation in discipling ministries, she is sent into the world to live and love like Christ. Namely, to be a redemptive influence and an agent of transformation in the lives of many. She then volunteers at RoH to get to know people from Alex and to form cross-cultural relationships: she mentors a varsity student through the Ignition project, and gives generously so that children who grow up in child-headed households can be nurtured and fed properly. Therefore, she is sent via RoH to become this redemptive influence. She works hands-on at repairing the torn fabric of our society by effecting reconciliation and justice. Jesus himself described his ministry as “… the good news is preached to the poor” (Matt 11:5). Jesus told his disciples to “let your light shine before others, that they may see your good deeds and glorify your Father in heaven” (Matt 5:16). Jesus went among the neediest people of his day, doing two things: good works and sharing the Good News. It is no wonder that so many of his followers came from this demographic. His good works among the poor created the ideal context for hearing the Good News. The good works were a picture/ illustration of the Good News. People saw and experienced God’s love practically as they heard about it. I have found that it is in these contexts that sharing the Good News about Jesus is not forced but becomes as natural as breathing. When I follow Jesus into these broken contexts, I find myself crying out to God often because the needs are so great and the only possible hope is Jesus. People often ask for prayer and when they don’t I offer it. I do not ever remember my offer to pray being turned down. People in these contexts are often puzzled as to why I have bothered to be among them, and that I would give them the time of day. I often have to explain that is not about me “giving back” it’s about the fact that I myself was once destitute and Jesus came to ME and laid down his life for ME. What could be more central to the mission of RUC?